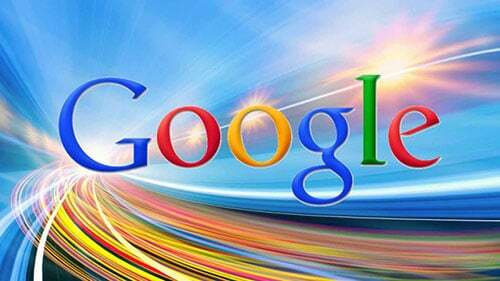 Google SEO, God's View of SEO & My Responsibility!GetAlongWithGod | A blog about discovering a God worth knowing. At Shulamite Ministries, we have for years worked on SEO (search engine optimization). I’ve struggled and strained to rank in Google’s SEO algorithm. In this post, I’m going to discuss the spiritual roots of SEO. 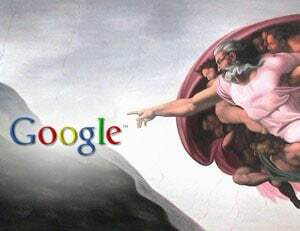 Yep, I said it; I am going to make SEO about GOD. Doesn’t Google Just Do It? I proceeded to take the responsibility of being an ambassador to Google, so to speak, and finding out what they want and how they want it. And the deeper I got into it, the more I saw God. Yes, Google is a corporation in the game of selling ad revenue. That’s their bottom line. But in order to do this, they have to make a platform people actually want to use and where traffic will come. So I asked, “How do I get our blogs, podcasts, articles, devotions, books and booklets out there for searchers on Google’s throughway?” I came up with this: I have to care about our message enough to present it well. This was the kicker to me. When I did the research, I wondered why Google should care more about my message than I do? If I’m not willing to present it well – giving it a relevant title, providing a clear description of the content, making my content clear and keeping my focus on the subject I’m discussing – why should Google? Google results simply reflect the time and care that I put into presenting my content to interested viewers. If I expect Google to do all the work, I will be sadly disappointed. You just don’t put stuff out there hoping it is seen or it will be treated like that: just stuff out there in the ether. So here’s the spiritual lesson. Like our podcast about the chickens and Jennifer’s dog, I took authority and responsibility and have been rewarded. I’m the steward of the revelation God has given me, and I must treat it with as much respect as I would like from Google. No, Google doesn’t personally care about our message, but there are people searching on Google who do. Titles, alt-tags, meta-descriptions, and authoritative content are beyond the interest of many who read this blog. But the revelation God delivers to us is precious and worth the energy and research to present it well. I have a newfound respect for Google, and I realize that I took it for granted up to now. I thought it was Google’s responsibility to find and connect our content with our viewers. Not so much. When I surrendered to understand, then I was given the power to understand. It was not until I surrendered and took responsibility that I could understand. And this principle covers ALL of our spiritual lives. I don’t come to understanding while demanding to be placated; no, I come into understanding by surrendering. God will never explain His way to me while I’m standing there with my arms crossed, demanding to be satisfied. But if I surrender and bow, He gives me light that helps me to understand and bow even more. The lesson behind my SEO dilemma is multi-fold. • First, I am being given treasure. I am responsible for this treasure (the message) that He speaks through me. I simply can’t expect another to be responsible for what is my responsibility. • Second, bowing to understand is rewarded with understanding. God never blesses our demand to understand before we will bow in any circumstance. I am not given the liberty to know before submitting. I know many who say they will bow to God when He explains the dynamics. This just will never happen. Surrender always comes before understanding. • Lastly, God gives wisdom to perform what God requires. Our Father doesn’t smack our butts and tells us to get in the fight. He leads us in and through every task He requires. This life is about relationship with Him; He WANTS to be our every step. For the Lord gives wisdom, and from His mouth comes knowledge and understanding (Prov. 2:6). If anyone is deficient in wisdom, he should ask God, who gives to all generously and without reprimand, and it will be given to him (James 1:5). But because you say, “I am rich and have acquired great wealth, and need nothing,” but do not realize that you are wretched, pitiful, poor, blind, and naked (Rev. 3:17). How long will you simpletons love naiveté? How long will mockers delight in mockery and fools hate knowledge? If only you will respond to My rebuke, then I will pour out My thoughts to you and I will make My words known to you (Prov. 1:22, 23). The one who listens to Me will live in security, and will be at ease from the dread of harm (Prov. 1:33). John this is an excellent post and insight Father has given you. I’ve been going through this process the last 5 months in a situation that He lead me into. Now I am really excited to begin to see His plan for me that He has been developing in me all my life! John, You are right understanding comes with a pursuit requiring submission and humility. This is both an encouragement and a challenge. To know Him and understand His ways does not come automatically. Even if I read about Him in a book I stiil need to know Him on the ground of experience. Your example of SEO and Google makes so much sense especially since I have spent many a hour racking my brain on trying to understand ranking too. Really appreciate this post. “Surrender always comes before understanding.” Thank you for this lesson. Thank you too, for the link to the podcast as I had not heard it before and was greatly blessed by the message. A double portion this morning. Once again you have been honest and proven trustworthy to bring the picture, story and scriptures to “light” about GOD and His great pleasure to give us the knowledge If we will but “bow and submit” Great lesson in our walk and desire for this kind of relationship with the FATHER. Bless you, thank you and yes I’m also reminded about the “chicken podcast” Its still in my spirit!!!! !